You are here: Crunchy Betty » Blog » DIY Beauty » Crunchy Betty Honey Challenge – The Finale & Party! Crunchy Betty Honey Challenge – The Finale & Party! We did it! Two whole weeks of washing our faces with honey, and (with rare exceptions) the final result was bee-yootifully fantastic! As those of you who received my email last weekend know, this challenge wasn’t to do this only for two weeks. It was so you (and I) could commit, whole-heartedly, to giving it a long-term try. Bottom line: If this works for you, do NOT STOP NOW! Keep doing this for a month, or a lifetime – as gosh-darned long you keep seeing beautiful benefits and a glowing face. For those of you who didn’t join in (or those of you who are seeing this page for the first time), do not be disheartened. You did not miss out – IF YOU DECIDE TO START RIGHT NOW. Right now, when you read this. 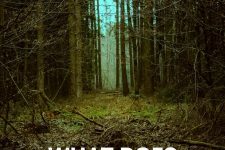 In fact, I’m leaving the linky party at the bottom of this post open indefinitely, so feel free, bloggers, to try this when it’s right for you, blog your results, and leave the link to your post here for posterity and all the world to see. Good grief, that was a lot of information about honey face washing right there. Hands up, by the way, if at any point in the last two weeks, you’ve had the song Kiss Me, Honey Honey, Kiss Me stuck in your head. Sorry about that. So, seriously – around 300 of you signed up for this challenge. 300! Pat yourselves on the back. You’re an official crunchy hoard. And while the honey face wash worked for 98.5% of you (yes, I did the math … sort of), there were a few of you who still had issues with redness. 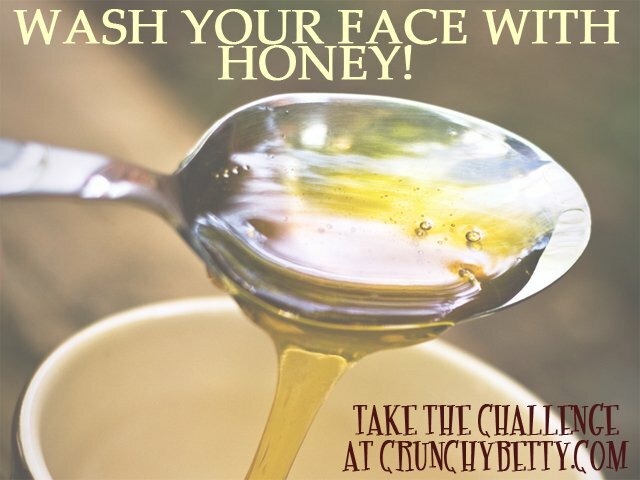 If you’re one of those people, please hop over to the Crunchy Community and start a thread about how you’ve been washing your face until now, and I promise we will all work our hardest to help you find a fantastic (honey-less) solution that works for you. What You’ve All Been Waiting For – The Linky Party! I know we’ve had dozens of bloggers blogging their honey challenge experience, and I can’t wait to see all of the posts linked up at the party below. But first, I just want to announce the two “winners” of the Colorado raw honey: KarinSDCA and Sarah, the Petit Gourmet. Before we get to the linky party: Non-bloggers, PLEASE post your experiences with washing your face with honey down below in the comments section. Did you love it? How did you notice a change in your skin? Did you find a trick to make it work better for you? The first Honey Challenge post was to sign up and show your solidarity. THIS ONE is to tell the world about how great your skin feels (or not) – and to encourage curious people everywhere that this does work and that they shouldn’t be frightened or weirded out by the thought of honey on their face. So I Ask the Tribe, "What Does Crunchy Mean?" So I have to echo one of the comments above. I started on the OCM in April, and it was like an epiphany for my skin. A skinpiphany? Anyways, I moved to Beijing about a month ago, and with the new environment and pollution and whatnot, all my OCM work fell to pieces. Breakouts. Oiliness. Dullness. The (bad) works. A week of using honey, and not only have I gotten rid of the Beijing Blues, my skin is the best it’s ever been. Like, not this good since before I hit puberty or something. I’m in wuv! Never mind. I see it now! I JUST put it together that I have not used face powder (my only face makeup) since this second week of honey washing…..Coincidence? It is super hot, so that is one reason, but I am certain the honey wash has kept my face from looking dull & sad. I will continue doing the wash, but may drop it down #times per week to stretch my honey dollar. As always, thanks Betty & Crunchy Community! Washed with the honey 3 times so far…planning on sticking with it even though I got in late on the “challenge”. Hoping for some good results for my oily, messy skin! Thank you Crunchy Betty! I never win anything, so thank you!! So far my honey experience has been going well. I am still breaking out in a few places but the blemishes are much smaller than they’ve ever been. Plus my acne scars are fading, my skin is softer and much more balanced. I plan to experiment with the OCM as well, especially for taking off makeup. I also plan to find some natural remedies for blemishes because traditional creams and gels aren’t doing anything at all anymore. Thank you so much for the wonderful challenge. This only day 11 for me but I will keep on washing with honey. It has made my skin look so much more smoother, softer, more glowy. I even notice that my hands are softer also. You know, I noticed that too but didn’t make the connection! Glowing face and softer hands! Wow! And yes, I’ve had your honey song stuck in my head all week long- so cute! You’re so right about giving new things TIME before deciding on them. The honey-wash challenge was easy to “stick to” though because it was so simple and luxurious feeling. After 2-weeks, my face is super clean and soft. I don’t wake up in the morning with an oily forehead (which I’ve done my whole life). Did I mention how dang simple it was? I LOVE that about it. I did really miss the OCM this past 2-wks and will probably resume that now, but I know I will use the honey-wash often… and I will never buy a face cleanser ever again. Not when this works so well. This honey challenge has been awesome!I’m definitely going to keep it going! I love how soft and glowy my skin is. I keep my little bear of honey right next to the sink so i don’t forget to do it in the morning and the evening. I’ve gotten my fiance in on all this honey business too. It started with an extra sweet kiss every night while I waited for the honey to sink in and do its work…but now he is washing with honey alongside me! Much love and thanks to you, Betty, for introducing me to the magic of honey!! So I’m a labor and delivery nurse. Do you know how depressing it was to see these pregnant glowing women walk in all the time when pregnancy thought it would be funny to dump horrible acne on me? I’m a few months postpartum, but my face (which had NEVER broken out before) still hadn’t cleared up all the way. So after doing the two weeks…excuse me, trip to the mirror…. I am down to maybe 7 or 8 small blemishes. Amazing. All the OTC acne medicines did nothing at best and irritated (royally pissed off) my skin at worst. So um, yeah. I think I’ll keep going 🙂 I will be trying the OCM for the mornings when I have makeup to take off (I work night shifts – not a stripper). I didn’t enjoy the 3 step w/ honey because my face felt a little assaulted with the combination of a washcloth, sticky honey, and baking soda. Apparently my face is sensitive, which I had never bothered to acknowledge until now. So yay for clear(er) skin and yay for my cute baby in spite of pregnancy acne and yay for actually paying attention to what my skin likes and needs! I was out of honey when I first learned of the challenge so I’m only on day 2. My face feels great though! We have very low humidity and I have fairly dry skin so am curious what will happen after a few weeks. So far, so good! Thanks for such a sweet idea! Simply Amazing! I turn 68 tomorrow and in the last two weeks,I see skin is truly better. My pores are shrinking. blemishes, the kind that are subtle until you look at your skin fm the side, are sayng “bye bye”. I haven’t worn much makeup in two weeks but when I did, Bare Minerals smoothed on with a mini brush, made my skin look just like velvet.!!!! I didn’t even have the organic honey!!!. I bought it yesterday and can hardly wait to see my face in two more weeks. Thanks Crunchy Betty and double thanks to SC who “turned me on” to your web site. I look forward to signing on to you every day. After 2 weeks of washing my face with honey, my skin is glowing and soft to touch. The first few days I experienced a little breaking out, but now am definitely a believer in honey! I’ve tried many “natural” brands on my sensitive (and scent-sitive) skin such as Aveeno, Burts Bees, Aveda, Origins, to name just a few, and honestly my skin loves the honey treatment and so do I. Thanks for a fun challenge! I am in love with washing my face with honey. At 51, I had ok skin. It was starting to get a little lifeless. Now, I love the skin I am in. I use the baking soda to remove make up (when I wear it~which has gotten less often). I am going to try the OCM when I return to work in the fall and will be wearing make-up more. Since this was such a success, I can’t wait to try that. My 20 year old daughter is on day 2, and another friend started 2 days ago. HMMMMM wonder if she noticed my glowing skin the other morning at breakfast??? Best face cleansing tip EVER!!! I love it and believe I will never ever stop using honey to cleanse my face!! A Million Thanks to YOU!! I am in love with the honey wash. Almost as much as I am in love with this blog. Thanks for helping me on my journey to become crunchier!! My face is wonderful from all this honey love and this will be my new face wash from now on. On the rare occasion I wear makeup (once in the past two weeks), I like the OCM with a smidgen of honey added. Feels soooo good! 1) My honey is crystallized. Since it was so thick, I found I had to use a lot the first time I did the honey wash because I literally could not move it around my skin. From the second washing on, I used damp-to-wet fingers (varied it to check out the differences) to apply the honey. PERFECT! If my fingers were wet, then I got a very thin coating of honey…if my fingers were just damp, I got a thicker coating…and everything in between. I had fun playing with the variables for rinsing immediately and leaving on a few minutes and leaving on for a mask and leaving on throughout a shower. When I wanted to do a full on mask, I used wet fingers and applied the honey all the way down my neck and decolletage and left it on for 20-30 minutes. With a thin coat like that, it wasn’t very sticky and I could read a book or whatever while the honey performed it’s magic. 2) I found I strongly preferred to rinse my face with tepid water (just barely above body temperature). If it was warmer than that, it felt like my face was “slimy” and I don’t do slimy. LOL This meant on shower days, I had to rinse my face in the shower with cooler than usual water. Unexpected BONUS!!! My hair has been loving this as has my whole body! When I was deciding to try this challenge I reseached honey online and there were several posts about mixing a few drops of honey with distilled water and putting in eyes for various eye related issues. The honey wash has been fabulous. No problems and when a pimple started to threaten, it was gone the next morning. I love doing this, but wouldn’t say that my skin was night and day, to me. That said, the other night, my friend said that I looked glowing, so maybe it is more noticeable than I thought! Will definitely keep it up! The honey wash is fantastic. I haven’t touched moisturizer since Day 3 and my skin is so soft and supple AND problem-free. Also loved, loved, loved the OCM + honey. That is now my favorite nighttime ritual. When I wake up in the morning, my face is ready to go with nothing but sunscreen. Thank you for all that you do! Sorry about the name links above. If there’s a way to change it let me know and I’ll fix it. I could remove them and add again but that might mess up your list. What do you think? The list wasn’t showing when I first posted or I would have realized after the first one. Feeling pretty dumb right about now. I loved the honey wash. I must say I have pretty good skin to start with. An occasional breakout from hormones. But one thing my skin is now that I have gotten older, is uneven in color and texture. Since starting the honey was my skin is even and glowing, I even think my frown lines are better! Sooooo, I am on Day 10 of the honey wash and I am still slightly unsure? I have to admit that after washing with honey my skin feels wonderful and there is absolutely NO NEED for moisturizer (except the Vit E oil around my eyes). BUT I still have blemishes and these strange clogged pores on my forehead (never had before). Anyone else experience that? I have to say though, even with the clogged pores my skin still feels way better than it did before with all the chemical-laden products! Are you bored of everyone saying how fantastic it is? Well it is! The honey is the perfect compliment to the oil cleansing at night to remove face powder, and lovely on it’s on in the morning. My husband has repeatedly remarked how nice my skin looks, and I haven’t had any of the relentless break out problems that had been with me forever. I can only lament as I look at the hundreds of dollars of beauty products going to waste in my bathroom. I see no need to do anything else. As you said, if it was good enough for Cleopatria, it’s good enough for me! And now I can direct all of those funds previously spent on chemical beauty products toward nice oils, etc.! I tend to leave it longer than a few minutes because my honey is still in my kitchen and I apply it before cleaning up my kitchen at night, which takes more like 15-30 min… and my skin feels nice and smooth but a bit dry. Do you think that the longer the honey stays on, the drier the skin becomes? Should I try a few minutes instead? I do like how my face looks/feels/acts with a honey wash. I find that straight honey tends to dry out my face, especially in the T-zone (very sensitive skin in a Colorado environ). I’ve been cleansing with a 1:1 combination of raw honey and homemade milk kefir. Sometimes I just wash, sometimes I let it set there and “masque” ’til I get around to rinsing. 🙂 If I need it I will moisturize with a VERY little bit of raw coconut oil – as in, rest my fingers on a clump of solid oil, then rub what melts onto my fingers into my face. Since coconut oil is also anti-bacterial, I massage in a little extra bit on any areas where I can feel blemishes forming (usually along my hairline or jawline) and by morning/evening, there’s significant improvement. I have a question for anyone who comes across my comment: what kind of moisturizer do you use afterwards? Just a followup for myself: I did the two-week challenge and didn’t really notice much of a difference. Even so, I kept it up and even started doing OCM+honey every other night, or whenever I wore makeup. I stopped in the middle of last week because my in-laws came in – and while I can handle my husband laughing good-naturedly at me, I wasn’t sure how they would deal with me wandering around the house with honey on my face. (Looking back, I can’t believe myself – like they’re gonna be in the bathroom with me while I wash my face?) 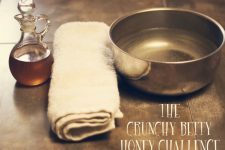 It wasn’t two days after I stopped washing with honey every morning that my skin flipped OUT – huge breakout with deep-rooted & painful blemishes from hair to jaw. It was terrible! Now that my routine has settled back in I’m going back to honey wash in the mornings. After one day, I can already tell the difference. No more silly store bought facial washes for me! Au naturale all the way! I’ll be honest, I was a little skeptical about this, even though I try to use as many natural products as possible, I found it hard to believe that honey on its own would do my face much good. Now, I’m hooked after the first use! I can’t believe how good my skin feels 😀 I read that making a paste with cinnamon & honey works wonders for sopts if you leave it on overnight, has anyone tried this? I also feel as if it is helping my scars, and the healing of acne is quicker… I got a few mean ones at the start, but they cleared up at least 50% faster than my normal cystic acne!!! I let this reach boiling point (there will be a white foam on the top . .take it off the heat just before it boils) then let it cool and repeat the heating process 2 or 3 more times for a stronger effect. While its still hot use a sieve to take away the larger granules. I love honey!! In fact im so on it that I have made a few batches of my infused honey and am selling it to weary backpackers on my way!! just saw the “infused honey” article . . ooops! the evident pitfalls of never having internet access. So know I know that I dont even have to semi boil! yay! I started this about three weeks ago and it has done wonders for my skin. The acne I had on my cheeks, jaw, chin and neck have cleared up very well. It’s like all that was underneath the skin are coming up and are coming off. I use the baking soda with the honey at night because I wear makeup to work, but in the morning it is just the honey. What is also wonderful is that it seems like the acne scars I had are just going away. I’m so happy and will continue to do this as my skin loves it! Thank you so much for getting us connected with these much more natural ways to care for our skin. Just wanted to leave a comment about this (even though no one will probably read this) but I have mild rosacea on my left cheek. I have been doing the raw honey wash in the mornings (and OCM at night- although I’ve also mixed OCM and honey together) and just the other day found some online threads about using raw honey for seb derm and rosacea. The threads recommended sparingly using coconut oil after the honey wash (and by sparingly, they meant small pea sized amount for the whole face). I’ve been avoiding using CO on my face because it can potentially clog pores, but I’ve decided to put small amounts on my rosacea and see what happens. It’s been two days, and while I don’t know all of what could be affecting my rosacea, I will say that it looks less inflamed than it has for the past several weeks/months, and feels hydrated. Just FYI! Hey, Juju! Any further updates? I, too, have rosacea as well as acne (lucky me!) and have considered using a honey wash. Did the honey alone make any difference to your rosacea? Betty you are the answer to my prayers! I’m 29 years old and have suffered from moderate-severe acne since 12. 12! I would have moments in between when my skin would clear up, but it was always with the use of products that gave me massive side effects. I have tried every potion, pill, cream, wash etc, and nothing. Last year I decided I didn’t want to use chemicals any longer and tried to go natural. I found Lerosette (sp?) and had ok results that became less and less effective. I found your blog via Pinterest and immediately ran to my kitchen to slather honey all over my face. I immediately felt my skin changing and it’s been about 3 weeks now and for the first time in years, I went out of the house without makeup on my skin today! The deep scars left are fading and the acne that does come up is minor and goes away quickly. You are a godsend and from the bottom of my heart, thank you for the gift you’ve given me! I haven’t felt pretty in my own skin for a long time, and it’s a nice change to not worry what I will see when I look in the mirror in the morning. Hey Crunchy Betty Peeps! Do you wash your neck with honey too? So I know I’m about a year late to this convo, but I just tried this and LOVE IT. I literally cannot see my pores. I can’t see them!!! I didn’t think that was possible. My face is so clean and soft and and even toned. I want to keep doing this forever, and I think I will!! I just wanted to tell you that I LOVE washing my face with honey! My skin has never been smoother. Not that I can remember anyway. And, I wrote a post on my blog about my experiences with being “crunchy” and my big sis called me and had some questions. She is going through radiation treatment right now that is causing her skin to be sore and red – like a bad sunburn. She wondered if putting honey and vitamin e on it would help. We decided that it definitely couldn’t hurt. This was 4 days ago. She called me today to say that almost all of the redness and pain is gone that was associated with the radiation! I know this has nothing to do with washing your face with honey (which she started doing and also LOVES!) but I just couldn’t not post a message saying how unbelievably awesome honey is! After washing my face daily with honey for about 2 months, my pimples have dried up completely, my skin is NEVER oily anymore and yet is more moisturized, supple and soft than it has ever been. I have been told on several occasions by different people that I look radiant and glowing-terms that I doubt have ever been used to describe me before. Getting these kinds of compliments feels amazing!! Just wanted to ask where you get your raw honey cos there are so many different types out there, and just wondered what brand (if it has a brand) you use? Thanks! I just wash my face with honey for the first time today, and it sucked! I must be allergic to honey on my skin, because with seconds I had red hot patches all over my face. I rinsed the honey off thoroughly and 30 minutes later my face is still on fire 🙁 I was really excited about this challenge. Hello everyone! I would love some advice if anyone has it to offer. I’ve tried the OCM and washing with honey separately and then together for a couple of months. Sadly, the bottom part of my face is extremely dry and then gets these little red spots using both of these methods I’ve changed the types of oil (apricot, avocado) and I’ve changed how often I did one or both (everyday, once every other, once a week). I also tried moisturizing after with just a couple of drops of oil and making sure there were no patches, but within an hour or so it looks dry again. Now I’ve stopped all together with the washing (just with water now) and the moisturizing but I’m still so super dry. Any advice? Thank you for your wisdom! I’m interested in trying the honey wash method or even honey mixed with yoghurt but i’ve come across a lot of natural sights where people have said that honey makes their skin sensitive to the sun and some have even given up using honey as a wash or mask because of this. Does anyone know about this or why this happens?